Chem-Dry of CSRA provides professional carpet cleaning and upholstery cleaning in North Augusta & Aiken, helping our customers maintain a clean, healthy, happy home. 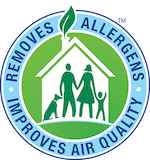 Our proprietary Hot Carbonated Extraction cleaning process combined with our non-toxic, green-certified solution means that we'll leave your home not only cleaner but safer and healthier, too. We harness the cleaning power of carbonation to better extract dirt and stains from your carpet and upholstery while use 80% less water than traditional steam cleaning. Since we use so much less water, your carpets will be dry in 1-2 hours instead of 1-2 days. Our professionally-trained technicians here at Chem-Dry of CSRA have the equipment, know how, and experience to deliver the professional cleaning you need. 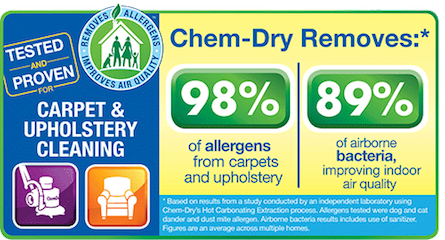 When you choose Chem-Dry of CSRA, we won't just leave your home cleaner, we'll leave it healthier, too. We provide professional carpet & upholstery cleaning services to North Augusta, Aiken, Belvedere, Beech Island, Clearwater, Warrenville, Baltown, Spiderweb, Wood Valley, and other cities in Aiken County. Professional Carpet Cleaning & Upholstery Cleaning in North Augusta & Aiken, SC!